AVAILABLE YEAR-ROUND FOR PRIVATE CHARTER AND SPECIAL EVENT CRUISES. Spectre brings a touch of the Italian Riveria to Sydney, with 500 horsepower twin outboards, a retractable sunroof and the ability to land right on the beach. This 11 metre state-of-the-art sports cruiser was built in 2017 by acclaimed Scandinavian boat builder Axopar, and won the 2017 ‘European Power Boat of the Year’. Spectre seats 10 guests and includes a large sun-lounger, swim platform, walk-around deck with shaded cabin & dining table, ensuite cabin with queen bed, toilet, fridge, sink, built-in esky, WiFi & bluetooth music system. Take Spectre for a few special hours or enjoy an unforgettable day on the harbour with friends, family, clients or colleagues. AVAILABLE YEAR-ROUND FOR TICKETED TOURS, GROUP HIRE AND SPECIAL EVENTS. 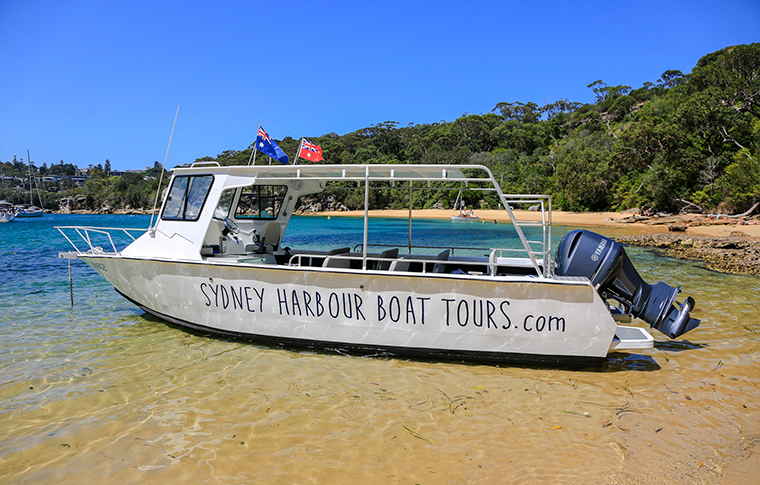 Our custom-built Beach Explorer is designed to take small groups comfortably around Sydney Harbour for sightseeing and beach landings. It has a roof for shade and rain protection, but is fully open for maximum viewing and photo opportunities. There is under-seat storage, WiFi, bluetooth music/AV and a small cabin toilet. This 8.5 metre boat seats 16 guests and was completely refurbished in late 2017 including a new 300hp outboard motor, to ensure guests travel with speed and ease in all conditions. 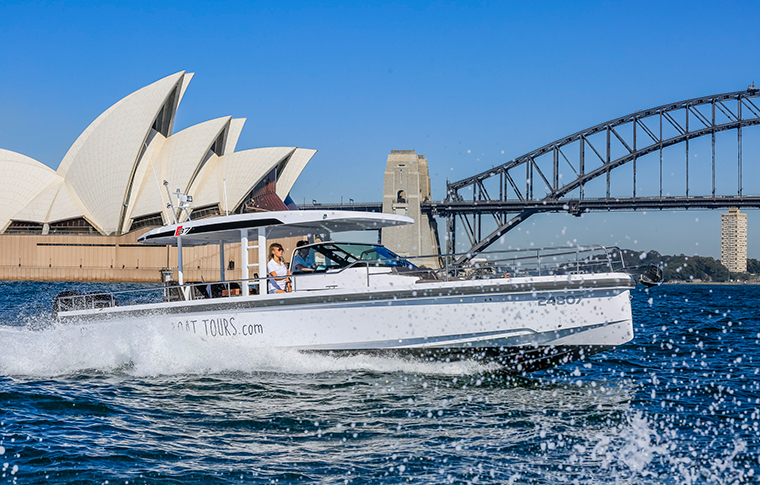 Of course, the boat is equipped with all the features and equipment required by Sydney Harbour Maritime authorities to meet current safety standards.